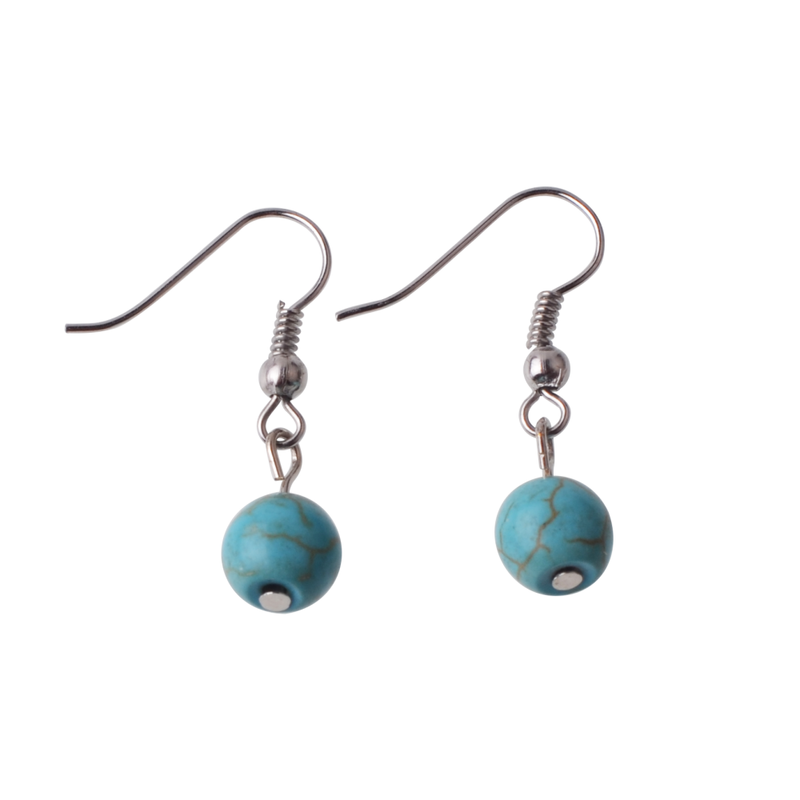 The company mainly produces, sells all kinds of Fashion Jewelry, the main products are Earrings, key ring, necklaces, pendant, bracelets, rings,etc Semi Precious Stone gemstone . 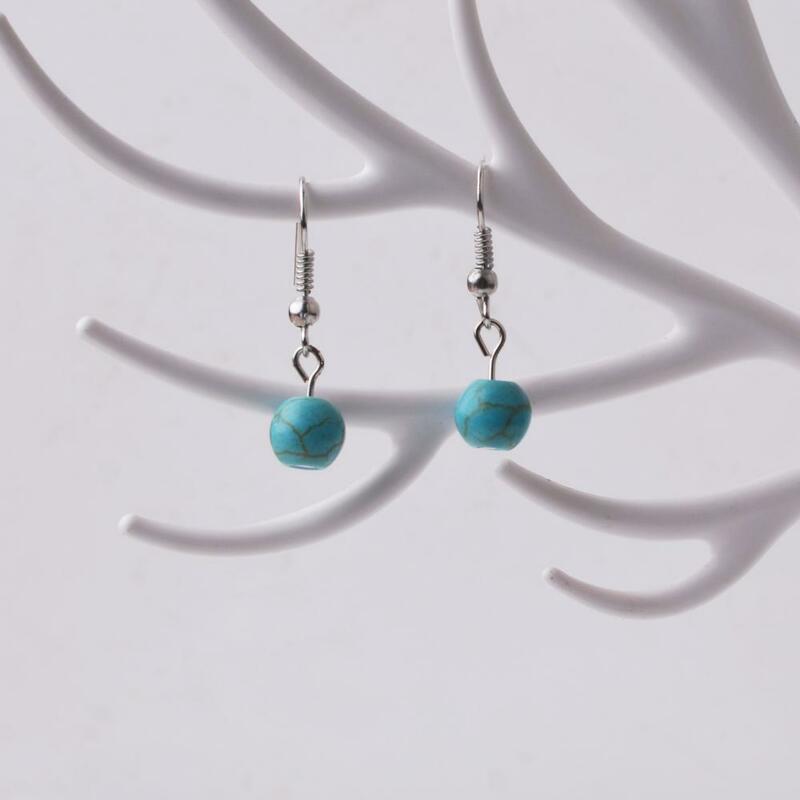 Turquoise Earring with 925 Silver Findings is made of 8mm round Beads. Earring jewelry weight is about 1.9g . 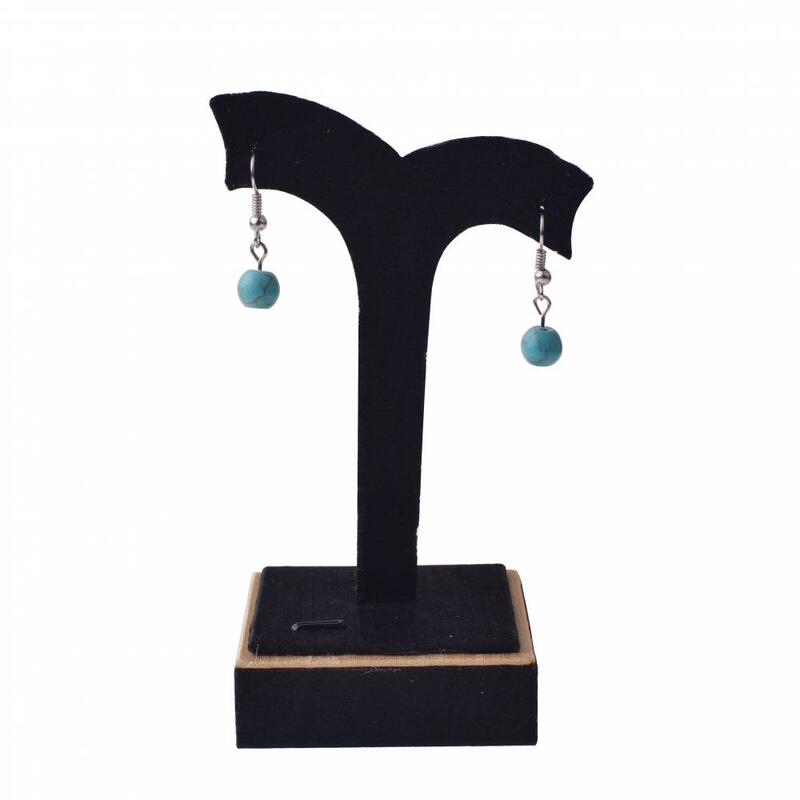 The studs Earring are suitable for daily wear. 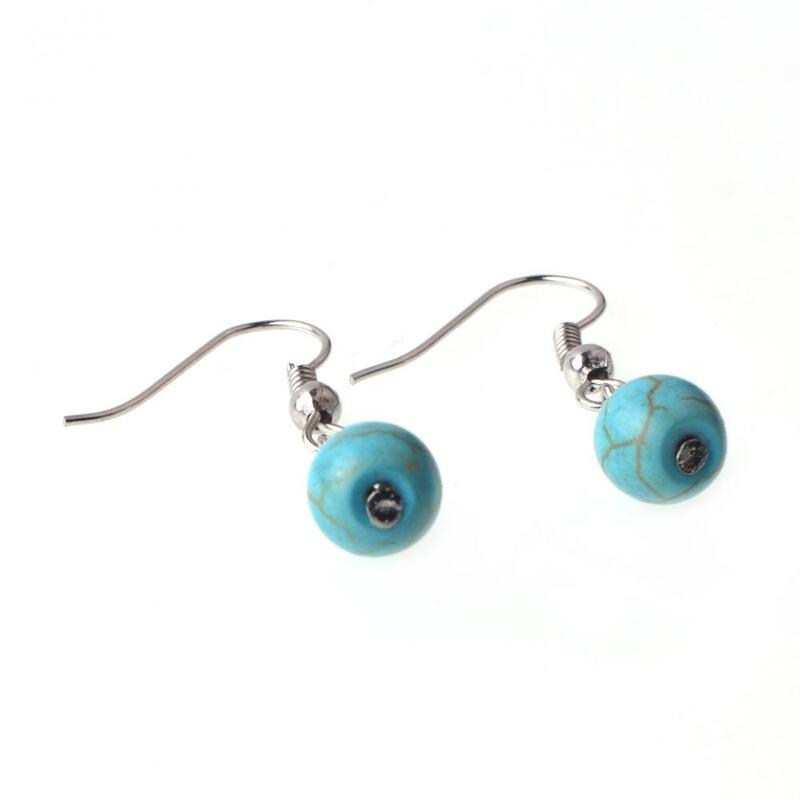 Looking for ideal 8MM Bead Earring Manufacturer & supplier ? We have a wide selection at great prices to help you get creative. All the 925 Silver Earring are quality guaranteed. 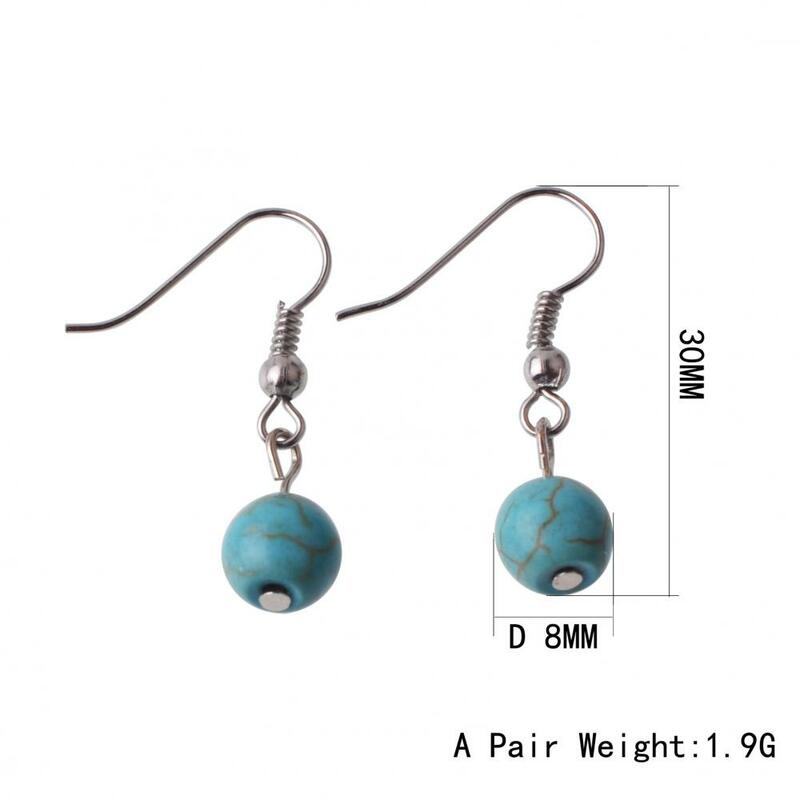 We are China Origin Factory of 8MM Turquoise Earring. If you have any question, please feel free to contact us.